The new "Comprehensive Storm Drain System" will consists of two separate systems with two separate rainwater outfall pipes into the ocean. Each of the systems will include a state-of-the-art pollution system that will allow for the toxic pollutants to be collected in holding tanks and trickled into the sewer system for treatment. The non-polluted runoff water will be piped five hundred feet off shore into the sub-tidal zone. Any work on or near the cliff will use micro-tunneling technology due to the extreme fragile nature of the cliff composition and condition. 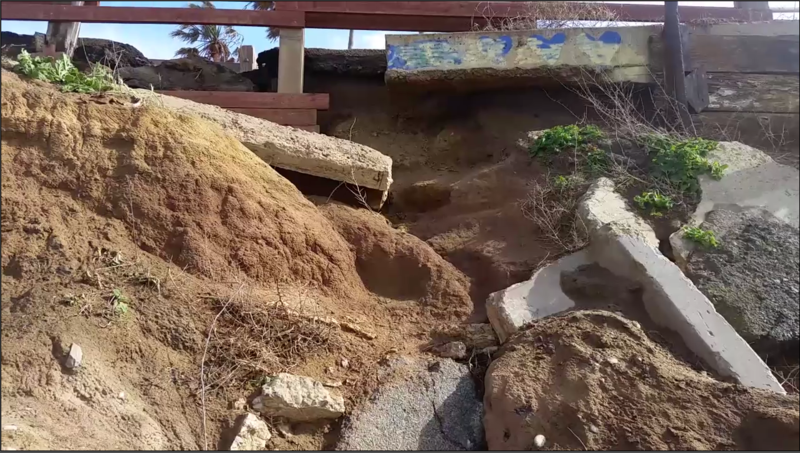 The serious erosion that is occurring at Sunset Cliffs Park is called "Top-Down Block Erosion" It is caused by the cliff edge becoming saturated and then collapsing in block sections. At Sunset Cliffs Park this is happening in the locations were the streets that come down the hill of Point Loma, intersect Sunset Cliffs Boulevard. The erosion is being caused by the inability for the current storm drain ( which is only the curb), to control the velocity and the volume of the rainwater runoff. 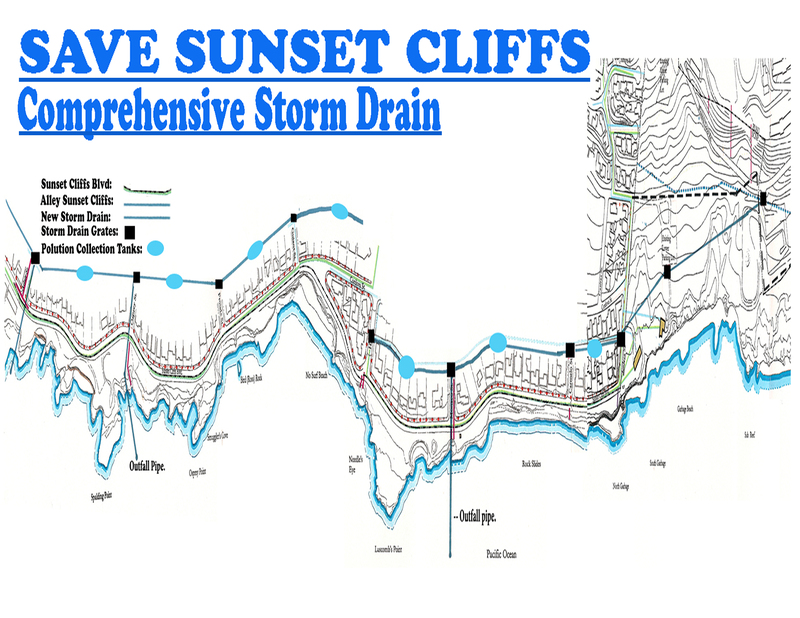 The rain/storm water runoff that Sunset Cliffs park experiences is at a much larger volume and velocity than the current system can control. 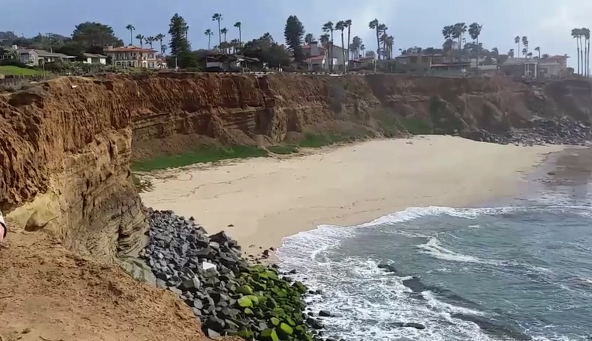 The result is water flowing uncontrolled to the cliffs edge where it is saturating the Cliffs and causing the catastrophic "Top-Down Block Erosion" & "Slope Erosion" that we have been experiencing at Sunset Cliffs for decades. The new "Comprehensive Storm Drain System" will be located in the public right of way alley east of Sunset Cliffs Boulevard. It will intersect each of the Streets that come down the hill of Point Loma with a storm drain grate across the street at the point were each street intersects the alley of Sunset Cliffs Boulevard. This Storm Drain Grate will flow the runoff directly into the new storm drain pipe and will collect the upslope rainwater runoff before the runoff is able to reach the cliffs edge and cause the catastrophic erosion that is occurring at this point. The First system of the new "Comprehensive Storm Drain System" includes the streets that run upslope of Point Loma Avenue to Guizot St. These These streets and avenue will be fit with a storm drain grate were they intersect the alley east of Sunset Cliffs Boulevard. This storm drain grate will flow into the new "Comprehensive Storm Drain System" were the polluted water will be removed and the clean water will flow into the ocean thru a micro- tunneled outfall pipe. The new storm drain pipe connects to a pollutant removal holding tank system, which will allow for first flow pollutants to be removed and trickled into our sewer system for treatment ( similar to La Jolla ). The second flow and cleaner water will then flow thru the micro-tunneled outfall pipes that exits 500 feet off shore at the cliffs base. This first systems outfall pipe will be located at "Caldwell's Creek" cove, into the sub-tidal zone.